They were so friendly and very thorough. They actually found a pretty big safety issue after we ordered a system and needed it installed. For us being a church safety is number one. They made a very low pressure recommendation for the issues. They were super professional and easy to deal with. I felt like they were consultants rather than contractors. It was a really amazing, not to sound trite. From a professional standpoint, I liked the thoroughness they provided before installing. Also I love that they found a huge safety issue we had no clue was there. They are all good guys, I use them for all my HVAC stuff including my business. I have recommended them many of times with great results for those who have used them. Give them a try. They did a great job all around. I'm actually using them right now for some work. They come in and assess the issue or need. Choose the equipment and do swift work. Connolly Heating and Air Conditioning cleans air ducts, designs and installs HVAC systems, and provides other services that are designed to improve indoor air quality for residential and commercial clients in Contra Costa and Alameda Counties. The company is also qualified to assess how customers are using energy beyond their HVAC systems and offer various energy-saving solutions, including photovoltaic solar systems. 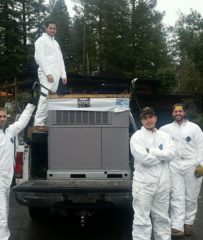 (L to R) Sean, Jayman, Nick and Alekos prepare to install two package units under a home in Moraga. Connolly Heating and Air Conditioning has been cleaning air ducts, designing and installing HVAC systems, and providing other services that improve indoor air quality for residential and commercial clients in Contra Costa and Alameda Counties since 1992. 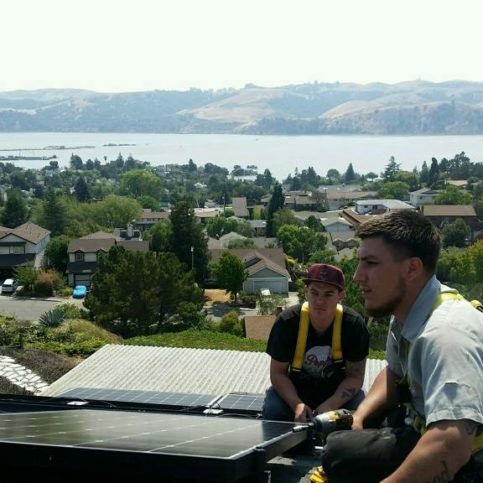 The company also has the in-house capabilities to assess how customers are using energy beyond their HVAC systems and offer several energy-saving solutions, including photovoltaic solar systems. Dirty ducts won’t just affect your home’s air quality—they may also affect your HVAC system’s energy efficiency. Q: Do you provide emergency services? Q: How quickly can you be here? Q: My HVAC unit isn’t running. Does it need to be serviced? Q: Why is there a reduction in the air flowing from my HVAC unit? Norman Grimes is a veteran of the HVAC industry and president of Connolly Heating and Air Conditioning, a Diamond Certified company. He can be reached at (925) 269-4614 or by email. A: 88 Noodle House in Martinez. Q: Who’s your favorite professional golfer? A: I have two: Jordan Spieth and Dustin Johnson. They’ve been big inspirations for me personally. A: An early bird—I go the gym every morning before heading to work. A: Guitars and other musical instruments. A: The piano. I have a grand piano that I inherited from my grandmother and I’d really like to be able to play it. PACHECO — An often-overlooked factor for indoor air quality is the impact of ductwork. Since air ducts accumulate dirt and dust buildup over time, having them professionally cleaned is an important part of ongoing maintenance. On average, air ducts should be cleaned every two to five years. However, if your ductwork is damaged, routine cleanings won’t address the bigger underlying issue. Air ducts can sustain damage from a variety of sources, but one of the most common is rodents that claw or bite their way inside. When ductwork is damaged in this way, the resulting air leaks hamper HVAC system performance and compromise air quality by allowing dirt, allergens, and other particles to enter through the breaches. Worse still, if there are rodents living in the ductwork, traces of their excrement can end up in the air stream, which obviously poses a health hazard. To prevent these issues, damaged ductwork should be promptly repaired and sealed (or, if they’re in severe condition, replaced). Unfortunately, since air ducts are hidden behind walls and beneath the house, damage often goes unnoticed, as do the resulting problems. That’s why, to monitor the condition of your air ducts and avoid air quality issues, you should have them regularly inspected by an HVAC professional. PACHECO — Host, Sarah Rutan: Even if your old HVAC system is still functional, if you haven’t maintained it, you could be headed for an adverse situation. Today we’re in Pacheco with Diamond Certified Expert Contributor Norman Grimes of Connolly Heating and Air Conditioning to learn more. 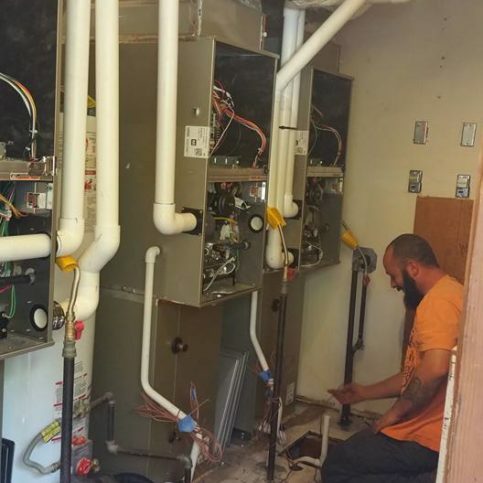 Diamond Certified Expert Contributor, Norman Grimes: If you have an old furnace, and it’s 10-15 years old or that old soldier that’s 30-plus years old that you’re really proud of that it keeps rolling – a couple of things you need to consider. So, the people who may have lived in the home before you may not have taken care of the system. They may not have changed the filters. Do you do this? 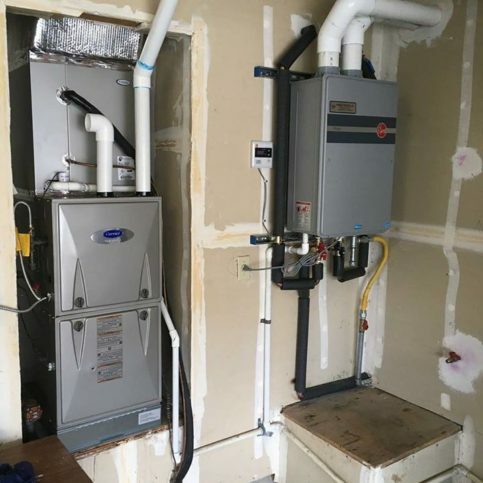 If not, then you probably have the typical scenario that we see, where people’s ductwork and their furnace will get dirty, and dirt on these surfaces, besides having an indoor air quality issue, it can also affect the efficiency of the equipment and cost you lots of money. Ultimately, if left alone, it will actually create mechanical failures in the system, and that can cost you money. So, it’s very important that you do consider this, because it can actually create mechanical problems down the road or even failures in the heat exchanger, which can put carbon monoxide into the home or even cause a fire. So, it’s very important that you at least change that filter every three months or call in a professional to take care of it. Connolly Heating and Air Conditioning : Average 9.3 out of 10 based on 115 unique customer surveys of customer satisfaction. They were honest, upfront, and the cost was reasonable. The service and installation was great. They're the best and have a great price. I would say they do good business, and they seem to have loyal employees. They're honest, very reliable, easy to deal with, and I recommend them to everyone. They were on time, thorough, and knowledgeable. I highly recommend them for any heating and air conditioning needs. I referred them to other people. They did a good job and were efficient. They were great, came out right away, efficient, not very costly, and I was really pleased with the service. The whole thing, they're efficient and personable. Good service, and I got personalized service from an individual who worked there. I have referred him several times. He honored the service. He bought the HVAC from the previous owner and is very ethical. I think I would say that they are compassionate, caring, and very understanding. I like that they are prompt and flexible. I would recommend anyone to use them. They did great for us. Their services, they were there when they said they would be and dealt with the job we hired them for very well. The quality of the work was also very good. They were consistent with their original bidding on the job. They were used as a sub-contractor on a job I was doing. They were good. They are on top of the job and made sure they were prepared to complete the same day.